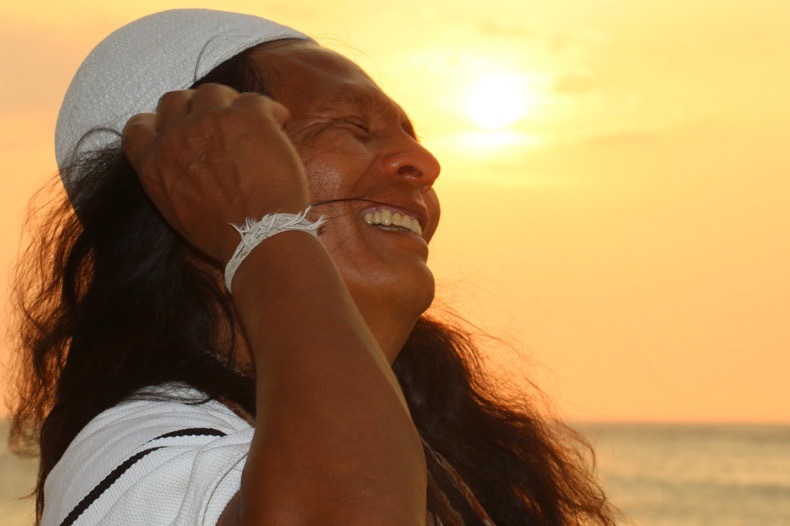 Please help restore sovereignty to the Four Original Peoples of the Sierra Nevada Mountains of Santa Marta, Colombia, by helping them recover their Ancestral Lands! Western occupation has forced the Arhuaco people and their sister tribes the Kogui, Wiwa and Kankaumo, to relocate to the higher lands of their ancestral territories in the Sierras. This displacement has brought imbalance and disharmonies to their communities, the earth and the planets. As the human family becomes increasingly disconnected from ourselves and our ancestral lands, this state of planetary discord is worsening. The people of the Sierra Nevada believe the health and future of our Mother Earth depend upon us all reclaiming our connection to the Earth and being at peace with ourselves. This is why, in recent years, select elders from the Four Peoples of La Sierra have begun to travel down from seclusion in the high mountains to help their younger brothers and sisters restore balance to themselves and the Earth. Raising funds to help the Four Peoples of La Sierra buy back the ancestral lands that were taken from them will help restore sovereignty and balance to their communities and the earth at large. Last week our community was blessed by an extraordinary visit with one of the leaders of this mission, Arhuaco elder Calixto Suarez. He touched hearts and opened minds with his ECO-AWARENESS teachings, and encouraged us to love and value ourselves as the foundation of our spiritual work. In this way, he says, we can learn how to be at peace with ourselves, each other and the Earth. We have a long way to go to meet our Ancestral Land Recovery fundraising goal.....WE NEED YOUR HELP! “For me, what matters most is that the lands are healthy, the water is pure, the air is free from viruses, and human beings are at peace with themselves. This is my impulse and intention: to speak of the importance of the sacred places and of how sacred we are." Watch this interview with Calixto to hear his words of wisdom and get a deeper sense of the importance of preserving our sacred places and ancestral lands.